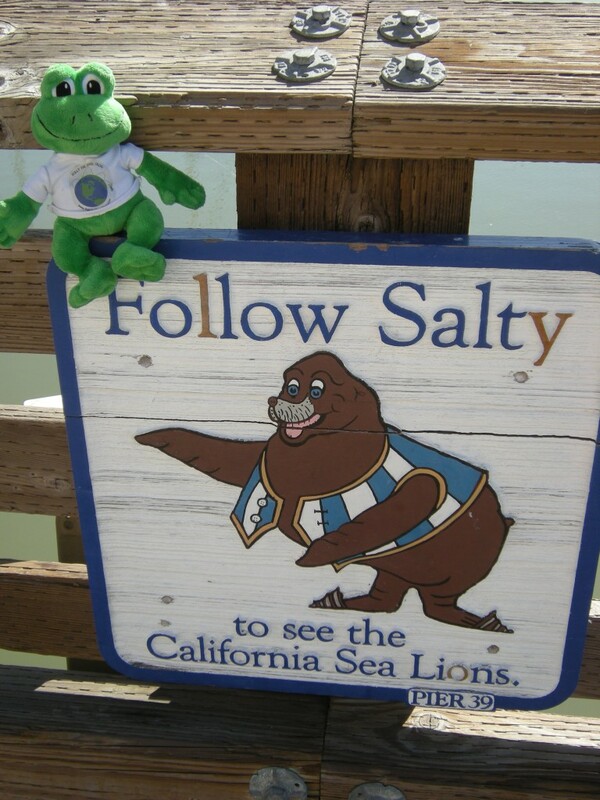 Polly #2 Visited the Sea Lions at Pier 39! 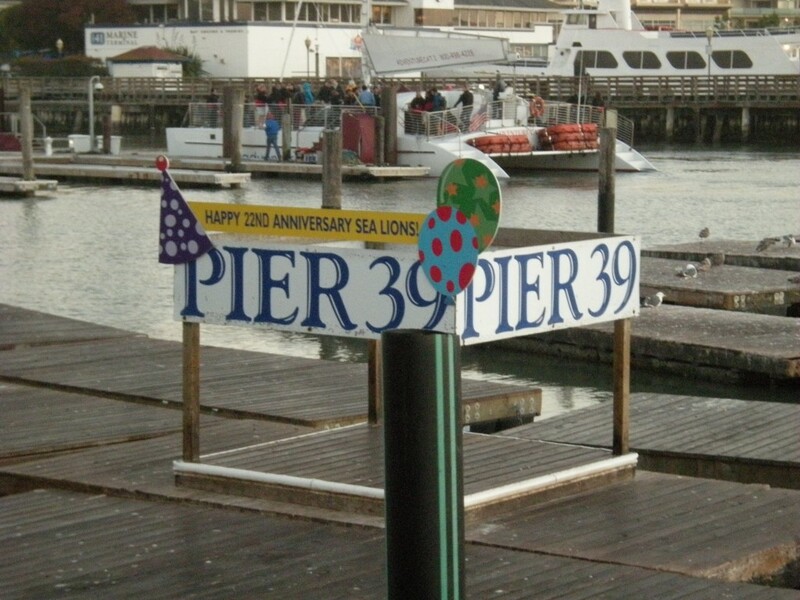 When we arrived in San Francisco, we were told that one of the things that we should be sure to do was to visit the sea lions at Pier 39 at Fisherman’s Wharf. When we arrived, there were quite a few people there watching them, but the sea lions kept their distance. The second time we stopped by, we noticed that a sign had been put up that indicated that the sea lions had been there for 22 years. I was really glad that I had a chance to see them! 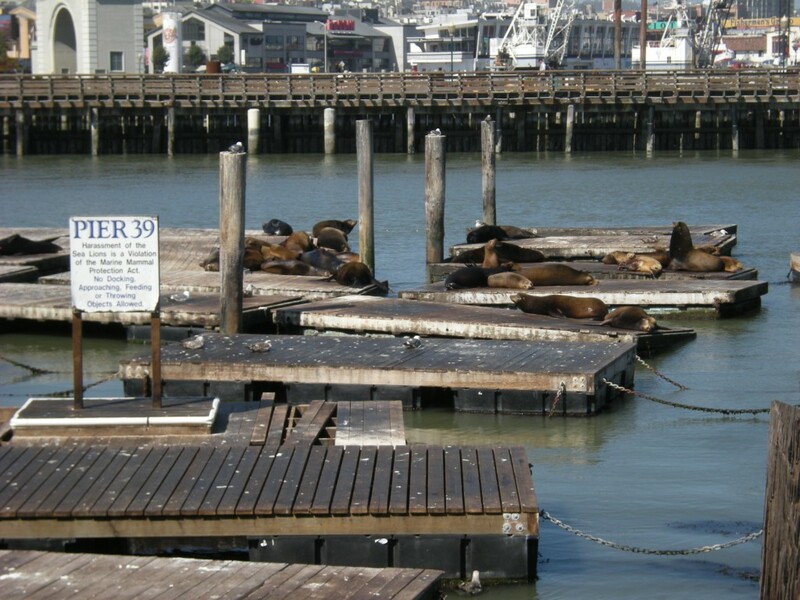 Click on this link if you’d like to learn more about the sea lions at Pier 39! I was excited to see the sea lions, but they didn't seem to thrilled to see me. They seemed very content to just stay way out on the docks. I could still see them, and I could definitely hear them! Since they were celebrating the anniversary of the sea lions, I was hoping there would be cake. Unfortunately, I didn't see any!